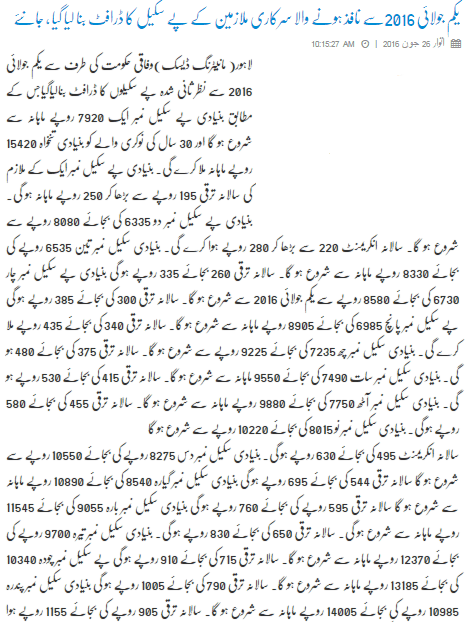 A few days ago the Daily Jang Rawalpindi published a draft of the revised pay scale chart. According to this chart, the basic pays and annual increments of the employees are higher than the chart that I uploaded previously. The chart and basic pay details are same as above. 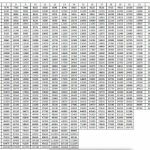 In the same way many visitors of my website also send me the pay scale charts. I am also sharing this chart. 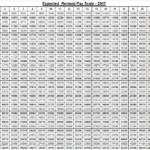 The below given pay scale chart is in PDF format and is submitted by TMA Musa Pak Shaheed. Note: The final chart will be issued by the Finance Division. It may or may not be the same as given here and in my previous posts. i am asif & primary teacher bps 09 appointment on 2008 august.i want to ask about deree increment . I have done b.com, b.ed M.A & i am doing M.B.A 90 Credit hour which is equal to M.phil it's almost done . so plz send me detail about increment is open . 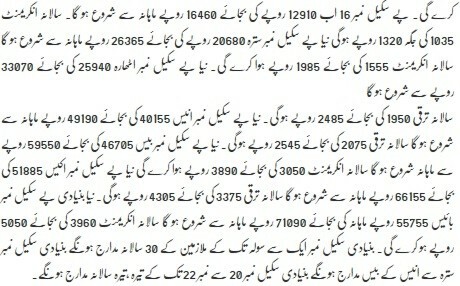 fedral govt ki taraf se konsa pay scale chart jari hua hay? Dear haroon the same is expected soon, these are only charts received by news. madam plz upload approved pay scale chart from govt. 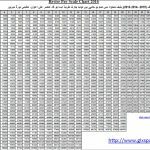 Dear haroon I have uploaded the final pay scale 2016 chart at this website. There is a mistake. Check initial page of grade 19. It is written 19190 while it should be 49190. Others are right. Plz update. I have also made this chart by myself but I am unable to post here and your facebook page. Tell me how? Dear Hassaan Badar, you can email me the same. Please make correction for grade 19 basic salary of 2016. This chart is better option and seems to be giving some benefits to govt employees, if it is true? 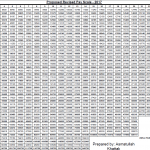 plz snd me latest final pay scale chart. I am EST teacher. 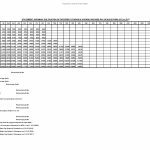 The full revised pay chart is required which is approved by finance department. Pease upload it.